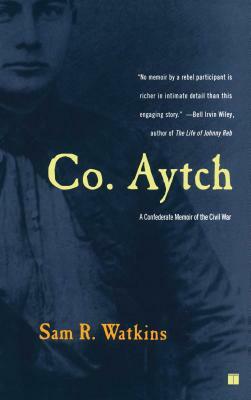 A classic Civil War memoir, Co. Aytch is the work of a natural storyteller who balances the horror of war with an irrepressible sense of humor and a sharp eye for the lighter side of battle. It is a testament to one man’s enduring humanity, courage, and wisdom in the midst of death and destruction. Bell Irvin Wiley Author of The Life of Johnny Reb No memoir by a rebel participant is richer in intimate detail than this engaging story. Margaret Mitchell From Gone With the Wind Letters A better book there never was.